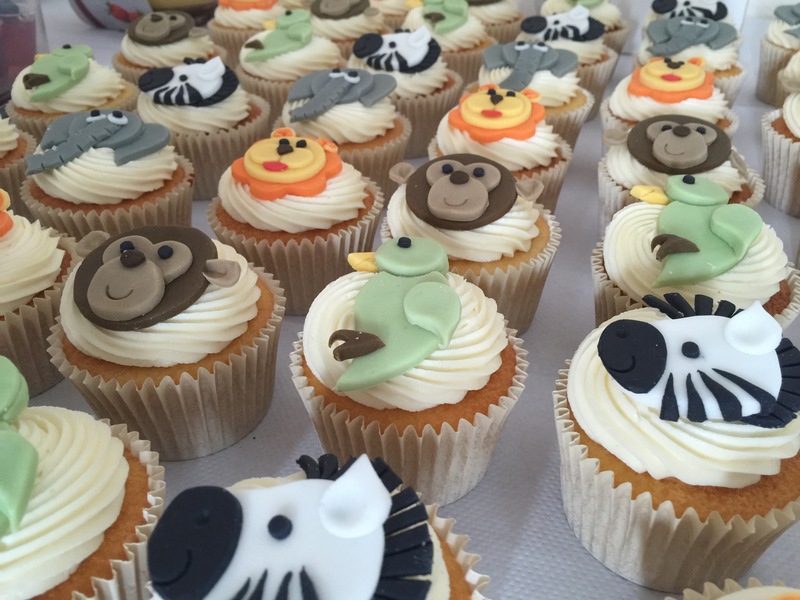 I haven’t made some fun cupcakes for a while so I was really excited when my friend Jen asked if I could make some safari themed cupcakes for her daughter Abi’s first birthday party. 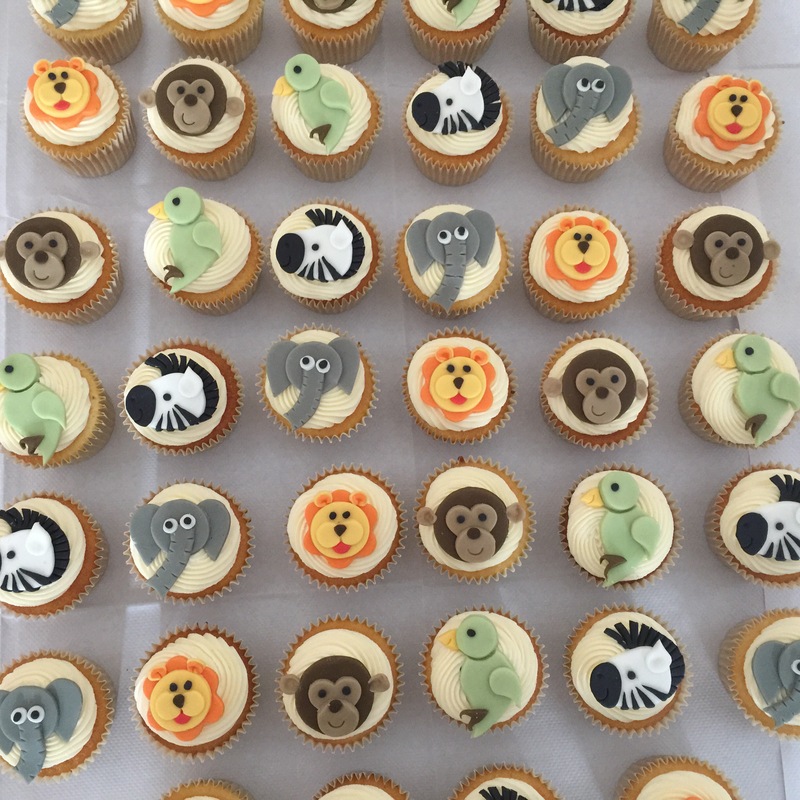 These were very satisfying to make – you cut out lots of shapes and when you stick them together they create animals! 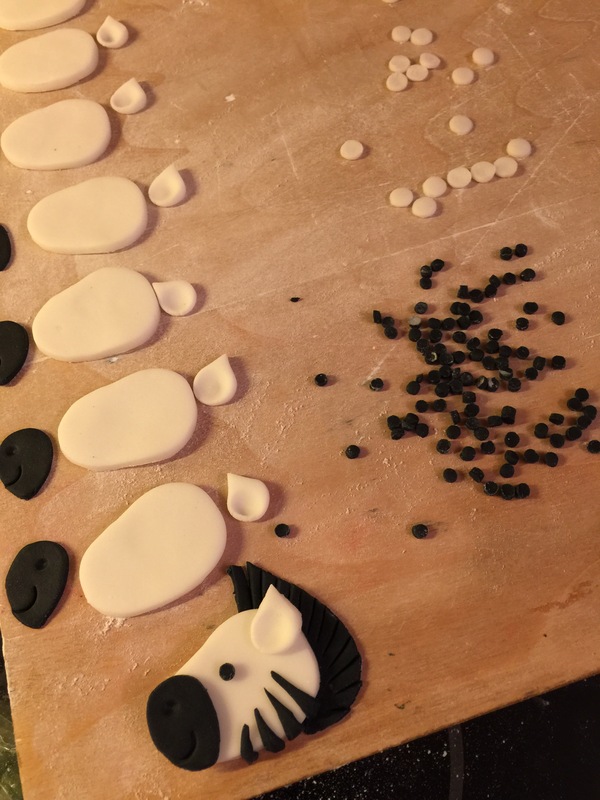 The photo below shows most of the steps for how the zebras were made (ignore the white circles – they were the eyes for the elephants which I made at the start while I was using the white icing so I knew that I could colour the rest of it!). The mane was made using a large petal cutter with cuts down the side, and the stripes were just thin triangles I cut out with a knife. The other animals were all made in a similar way – I cut out all the component parts in each colour and then stuck them together. For most of them, it’s probably obvious what cutters I used – I used a heart cutter, various sizes circle cutters (and piping nozzles for the eyes), several petal cutters and a blossom/flower cutter. 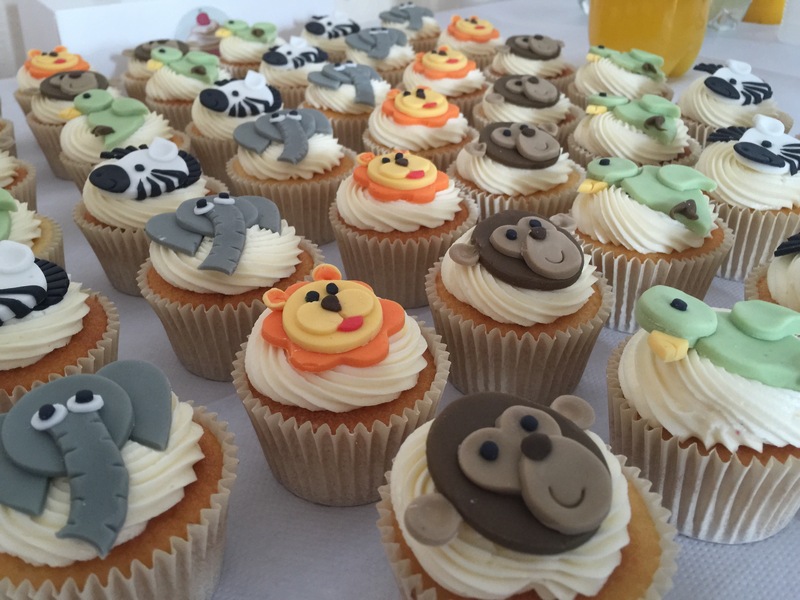 The lions nose is probably the least obvious – it was cut out of yellow icing using a heart cutter. I cut out a heart and then turned the cutter around to cut the point off leaving behind an “8” shape, which I then marked down the middle using the back of a knife. The tounge was cut out of a petal with the point removed using the same heart cutter so that it fitted up against the nose.